After weeks of news leaks and controversy, Environmental Protection Agency Administrator Scott Pruitt on Nov. 2 announced his slate of appointments to three key agency scientific advisory boards. Coming two days after a decision to change membership criteria to disqualify EPA research grant-recipients from also serving on advisory boards, Pruitt’s moves generally drew praise from congressional Republicans and industry but brickbats from Democrats and science-related professional groups. The three panels are the Board of Scientific Counselors, the Clean Air Science Advisory Committee and the Science Advisory Board. The new grant rules are designed to “strengthen member independence,” “increase state, tribal and local government participation,” “enhance geographic diversity” and “promote fresh perspectives,” Pruitt said in his Oct. 31 directive. He cited existing conflict-of-interest guidelines at EPA and the National Institutes of Health. “Leading scientific experts who are conducting environmental science research should not be prohibited from participating on EPA science adviser boards and committees if they have met the appropriate financial conflict of interest policy,” he added. But Pruitt’s moves were applauded by the American Chemistry Council. “The changes…. 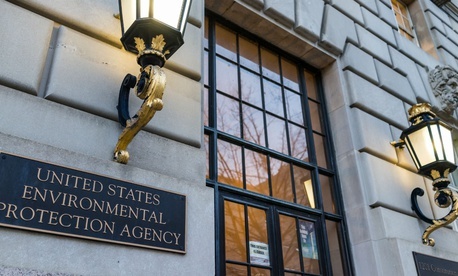 will help ensure EPA’s scientific review panels are well balanced with perspectives from qualified scientists of diverse backgrounds and that board members are free of any disqualifying conflicts of interest,” CEO Cal Dooley said. He praised the appointments of his council’s own chemist Kimberly White to EPA’s Science Advisory Board and the naming of his staff toxicologist Rick Becker to the Board of Scientific Counselors.